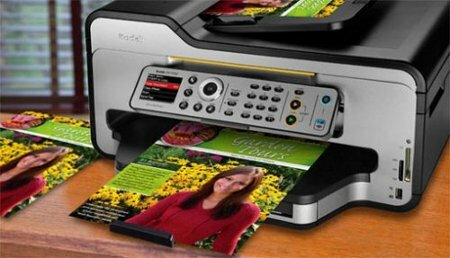 Just like the other models from Kodak’s range of home inkjet printers, the ESP 9250 will come with an intelligent bar code system which optimizes settings for superior printing performance thanks to Kodak’s versatile proprietary pigmented ink system. Kodak Printers are able to detect and adjust for printing documents or photos automatically, thanks to a bar code reader which will function seamlessly with Kodak Photo Paper in order to customize the printer’s ink output, delivering an ideal result for the selected paper. This kind of intelligent design makes sure there is no need for you to think when it comes to churning out prints of your favorite images. Not only that, the ESP 9250 will also be able to actively monitor and display how much ink and paper are available both on the printer LCD display as well as remotely on the computer screen. With an auto-engaging photo tray that holds three sizes of paper, Wi-Fi and networking connectivity, you can virtually print from anywhere within the home or office, including from an iPhone, iPod Touch or iPad device. It even comes with integrated templates that make it a snap to print a variety of forms, such as graph paper, line paper, wide-ruled paper, tic-tac-toe, to do lists, grocery lists and even sheet music. The Kodak ESP 9250 Printer will retail for $249.99 and should be out on store shelves already. I love my Kodak printer. Especially when I have to replace my ink cartridges. I was first suspicious how they can be so much cheaper than the competition without being priced out by the big HP’s and Canons. However when you understand that it is actually a completely different ink and science behind, which is their patent and one also does not need a new print-head as you do automatically when buying a HP ink that explains why they can afford to price the ink so much cheaper than the competitors.